How to record your iPad screen? App tutorial or review or troubleshooting - The best way to show how one app works is to actually record what's going on and capture the iPad screen as a video. Playback of how you play a game - You may want to record a video while playing a game on iPad for a review. Record the creation process - Record how you draw a masterpiece with a drawing app, or how you make slideshow with your photos, even record the slideshow to a video. Record anything you want to save - find some funny stories, useful passages or cool pictures? No need to figure out how to save them to your iPad, just recording while scanning. In these cases, you will find recording the iPad screen activities is the best choice. You don't need to install any app on your iPad since it is possible to record iPad screen on your Mac. That is X-Mirage, works on Mac, mirrors iPad screen to Mac with AirPlay mirroring and record the mirrored iPad screen on Mac. 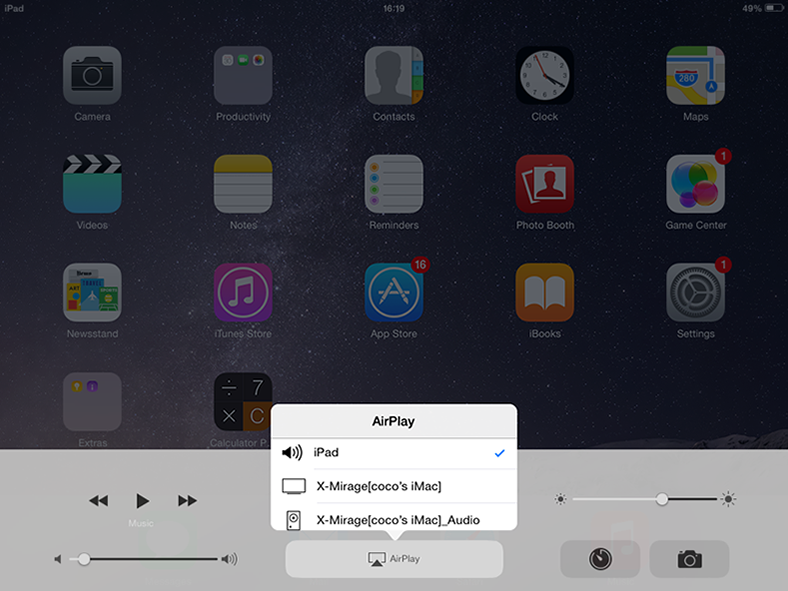 The below steps show you how to record iPad screen with Mac app - X-Mirage. 1. 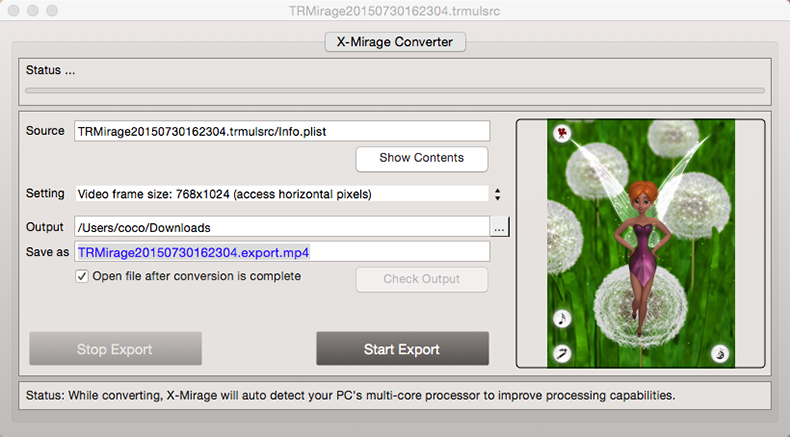 Download, install and launch X-Mirage on your Mac. 2. 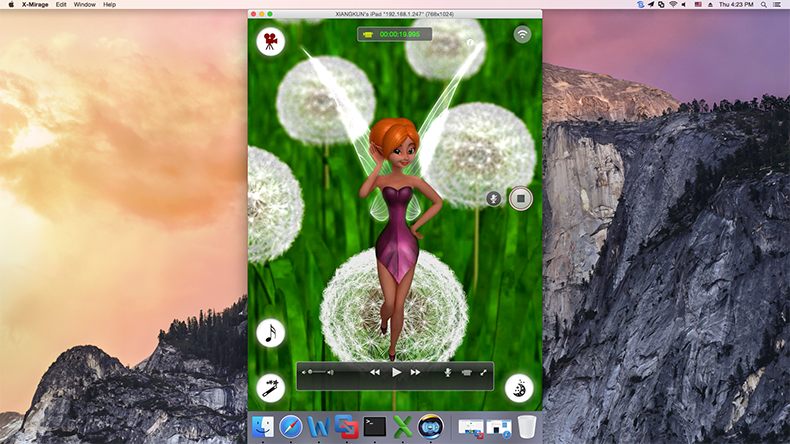 Mirror iPad's screen to Mac and run any app. iOS 6: Double-tap the Home button and swipe right twice and tap the AirPlay icon, select X-Mirage[your Mac name], then turn on Mirroring. 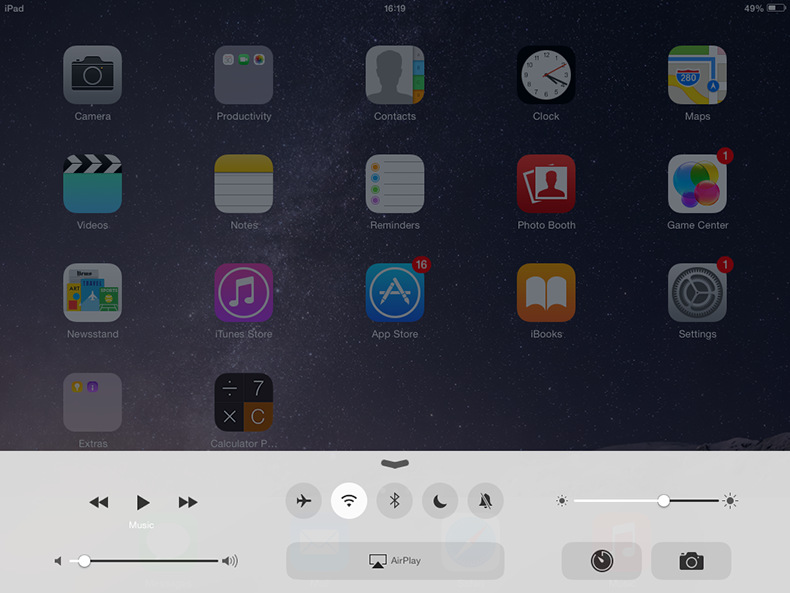 iOS 7/8: Swipe up from the bottom of the screen to access Control Center, tap AirPlay icon, select X-Mirage[your Mac name], then turn on Mirroring. 3. Click the red record button to start iPad screen recording. The red record button is available when you move the mouse cursor to the mirrored window and disappears automatically 3 seconds later. When finished, click the Stop button or close the mirrored screen. Then the below window wi ll pop up for you to you to export the recorded iPad screen video.